To access the fault system, turn the ignition on (but don't start the car) and place a jumper between the brown wire on the black connector and the yellow wire on the white connector under the shift boot, for at least 5 seconds. Remove the jumper, and the CHECK light on the dashboard should flash one long pulse, then several shorter pulses (with spaces) indicating codes. Please click here for an example. 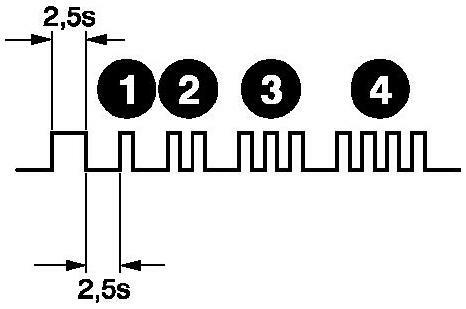 The example picture above would indicate a 1234 code. Connect the jumper again for at least 4 seconds to advance to the next code. When "0000" (2.5s flashes at 2.5s intervals) or "4444" is read, the sequence is completed. To clear the codes, connect the jumper with the ignition off, then turn it on. After 5 seconds, remove the jumper, and "4444" should be read.